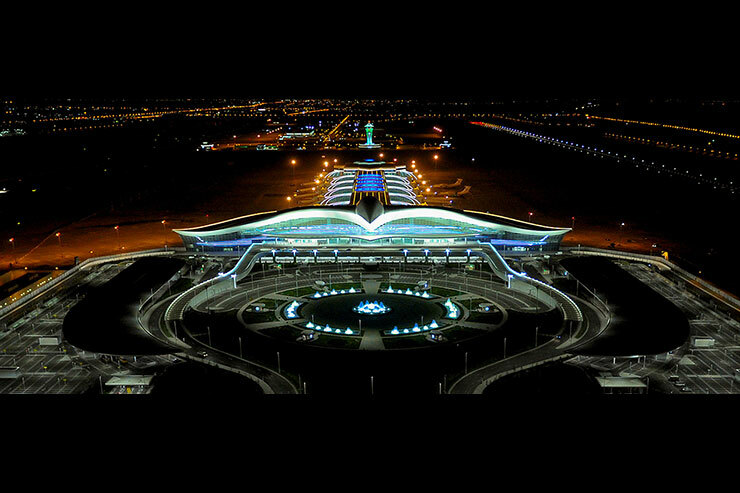 Constructed in Turkmenistan’s capital city, Ashgabat, Ashgabat International Airport is one of the biggest projects of the country. 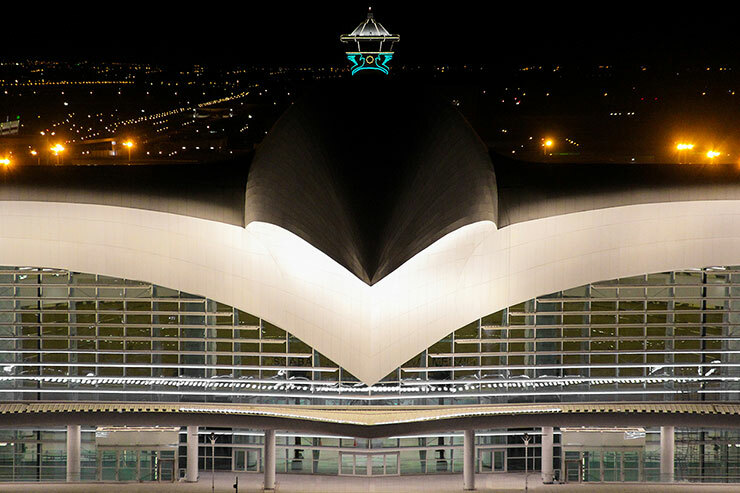 The design of the new Ashgabat International Airport Complex was inspired from a historical Turkish character Oguz Khan and the lacyn bird (falcon), which is one of the national symbols of Turkmenistan. 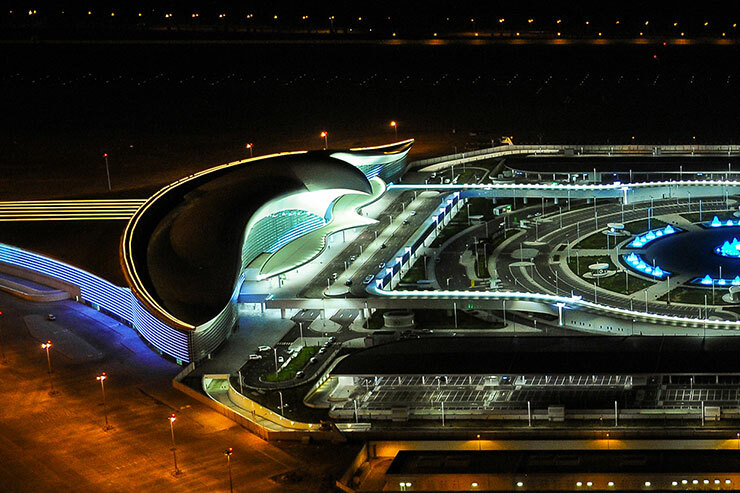 The Airport Complex consists of 266 buildings with different functions and constructed on the site area of 12-million sqm, including 2.5-million sqm area of runways, taxiways and aprons. 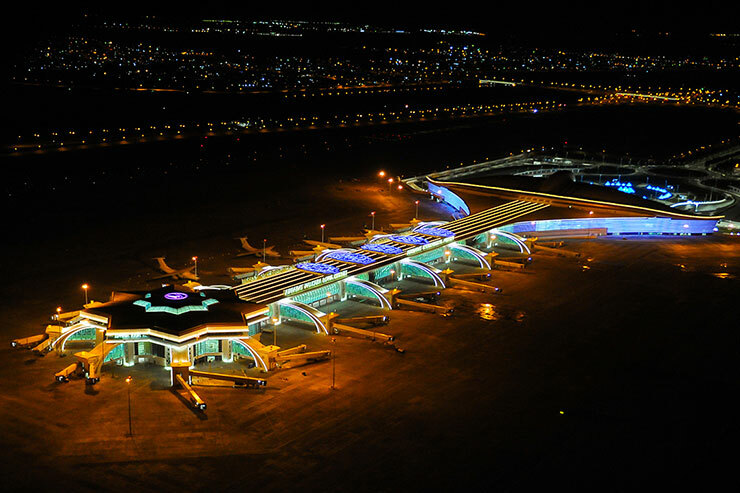 The new airport also will be able to host 14 million domestic – international passengers per year with providing IATA Class A service standards, and ready for being the logistics centre of the region owing to its new cargo structuring. 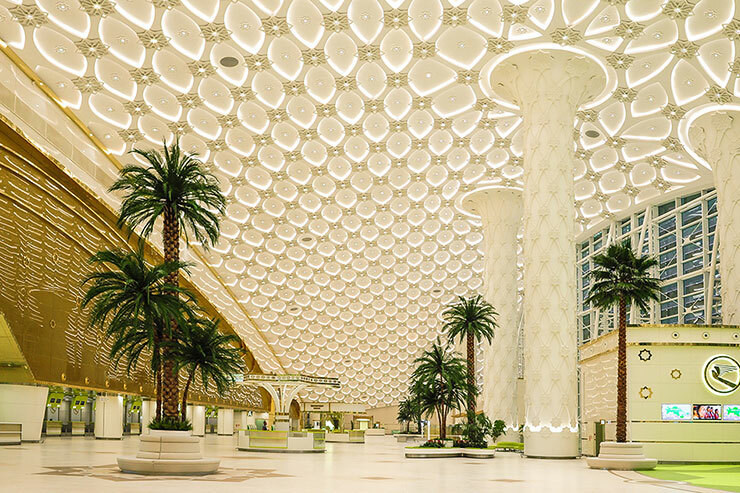 In both daytime and nighttime, this building will be the last building seen by passengers arriving to or departing from Ashgabat. 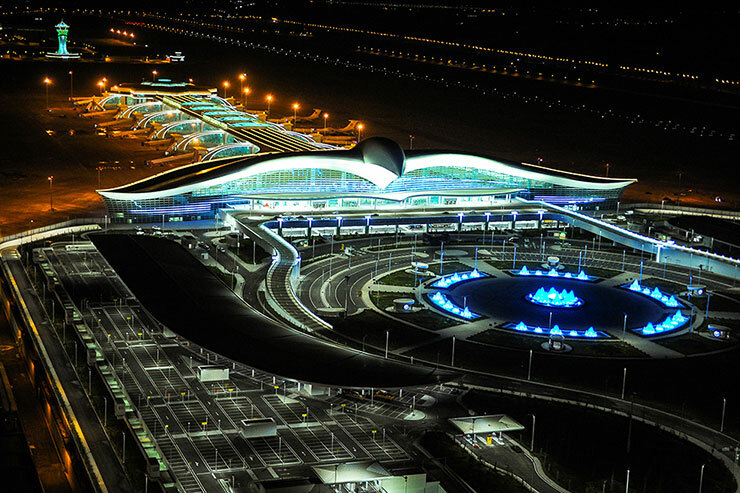 The exterior lighting of the main terminal building needed to create a prestigious and strong perception and to highlight the structural elements that refer the culture of the country. The building has a huge bird shape so the façade lighting was designed to emphasise this extraordinary architectural form. 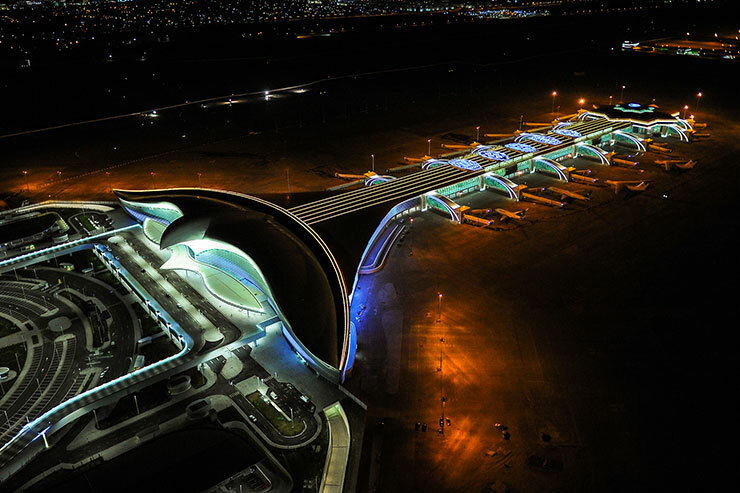 While the LED uplight projectors on the entrance canopy illuminate the two wings homogenously, the linear lighting fixtures integrated on the front façade imitates a bird’s flapping motion. On the roof, the ‘arrows and bow’ shapes that have an important place in the culture of the country, are shown by linear LED fixtures. Also, the patterns adapted from the Turkmenistan flag to the building were also emphasised by the same kind of luminaries. Throughout the design process, international aviation regulations were taken into account. For the low energy consumption, all lighting products have been selected with LED lamps.